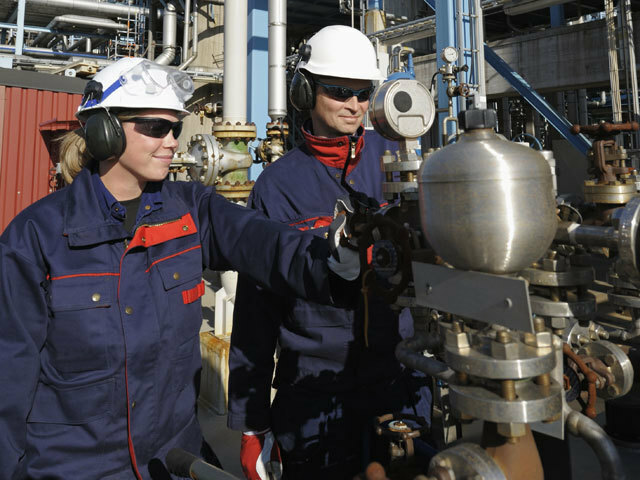 The UK oil and gas industry is still dominated by men and more needs to be done to help young women redress the imbalance, it has been claimed. The call to action comes on the back of a survey by training body OPITO which shows that 80 per cent of students considering oil and gas as a profession are young men. Only around 20 per cent of those surveyed and who wanted a career in the industry were women. John McDonald, managing director of OPITO and member of the Scottish Government’s energy jobs task force, admitted the lack of a strong female representation in the industry was a major problem. He said: “Straight up, there is an issue here. I want to see more young woman come into and stay in our industry. “In order to encourage more women we need to develop and retain those who are already in place. More than 500 students from key energy industry focused cities, including Aberdeen, Aberdeenshire, Great Yarmouth, Waveney and Norwich, were asked their opinion in the OPITO study. More than 80 per cent of those who took part said they are still interested in pursuing a career in the sector – despite the current market difficulties. The top three reasons given for wanting to pursue a career in oil and gas were the opportunities to travel, the salaries offered and the chance to be at the cutting edge of science and technology. And a total of 77 per cent of respondents said they considered there to be longevity in the UK Continental Shelf. The 18 per cent who disagreed with this view cited a lack of confidence in long term resources, competition from more attractive basins and increased sustainability in alternative energy sectors, namely renewables. McDonald said cooperation across all sectors and demographs was key to making sure the next generation of energy industry workers were prepared for the challenges ahead. He said: “We know that this is a complex industry and a sophisticated industry too. What we have found is that young people have a clear understanding of the challenges and opportunities. “And 81 per cent of those said that they see longevity and opportunities for them within the industry. That’s great news but at the same time we can’t take our eye off the ball.